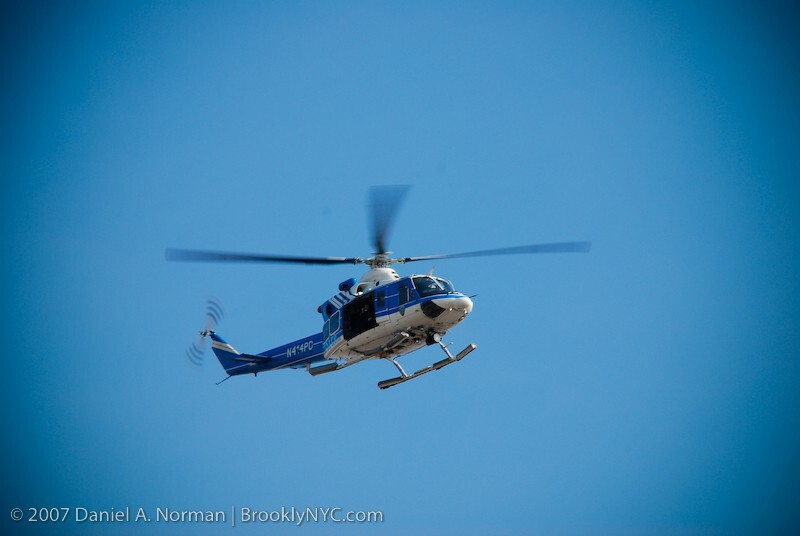 A Police Chopper flies over Brooklyn, NYC. There is someone inside recording the view over the Brooklyn Bridge, the Fulton Ferry Landing, & the Manhattan skyline. This entry was posted in Planes, Trains & Automobiles and tagged brooklyn, chopper, new york, new york photography, nyc, nypd, photography.